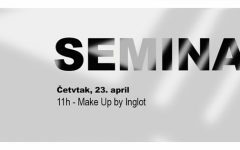 Novi Sad, Serbia – Serbia Fashion Week (SFW) designer Marina Mićanović has been confirmed as guest international designer at the next edition of the Fashion Weekend Skopje (FWSK) in Macedonia. 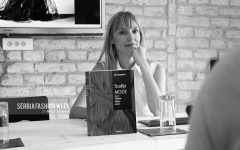 Mićanović, one of the original designers to show a collection at the SFW at the very first Serbia Fashion Week, will show her new Spring/Summer 2015 collection in Macedonia as part of the designer exchange program and as agreed upon in the protocol agreements signed between the two fashion week. Noted for her gentle smile and natural beauty, she is rapidly becoming known throughout Serbia’s fashion industry. The FWSK takes place twice a year in Skopje. 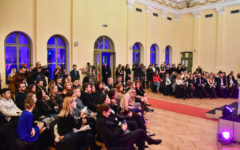 It is a platform for the promotion, integration and development of the Macedonian fashion culture. 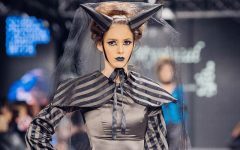 It features young and emerging fashion brands and designers, educational institutions, photographers, fashion agencies, journalists, buyers, consumers and other fashion contributors to present their work, exchange ideas and strengthen the fashion scene. 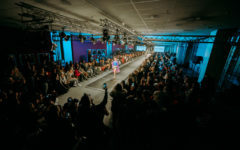 FWSK is organized by the fashion event management company ‘Modna Nedela Korporacija’. Marina Mićanović will first unveil her new collection in Novi Sad at 7:30pm, on Thursday, October 16th. For more information on the Fashion Weekend Skopje, please visit www.fashionweekendskopje.mk.